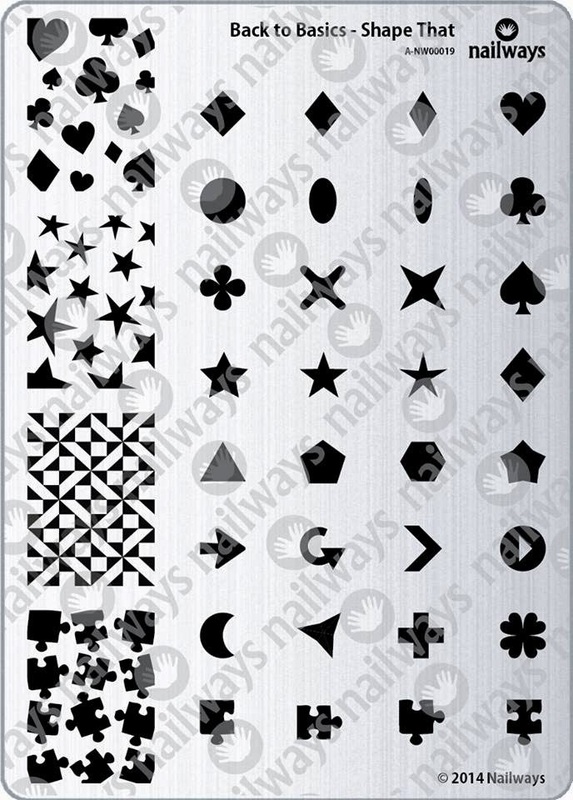 Lacquer Lockdown: Hot Off The Stamping Press: Nailways Back To Basics Nail Art Stamping Plates! 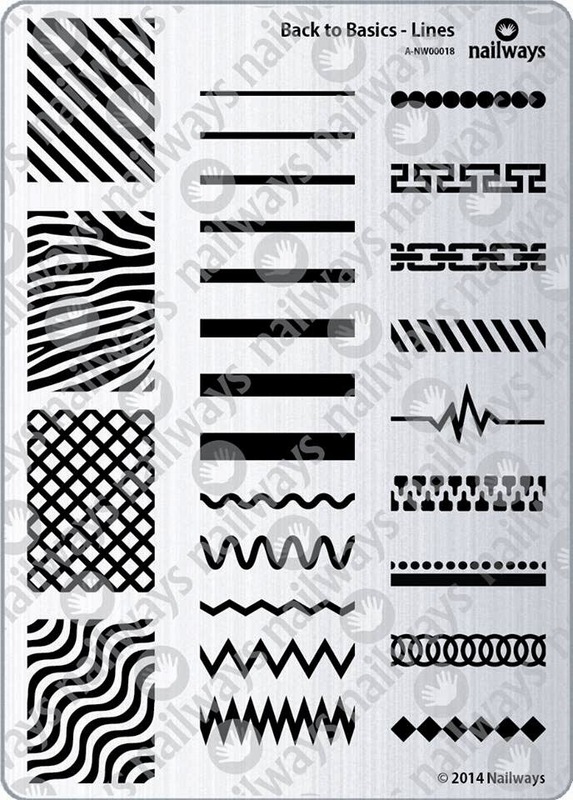 Hot Off The Stamping Press: Nailways Back To Basics Nail Art Stamping Plates! As usual this is a collection that consists of 4 individual plates that have different concepts as a part of one underlying theme. 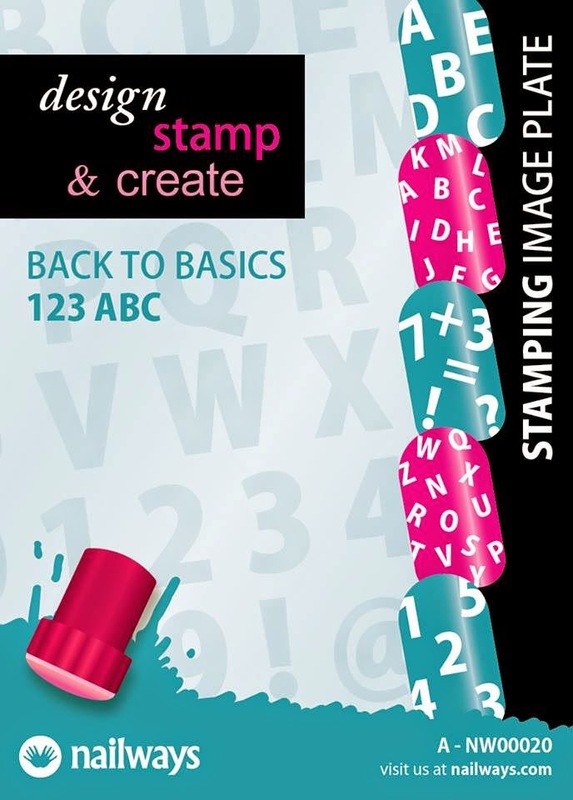 In this case the collection is just what it sounds like - basic images and designs that can be used in various ways. 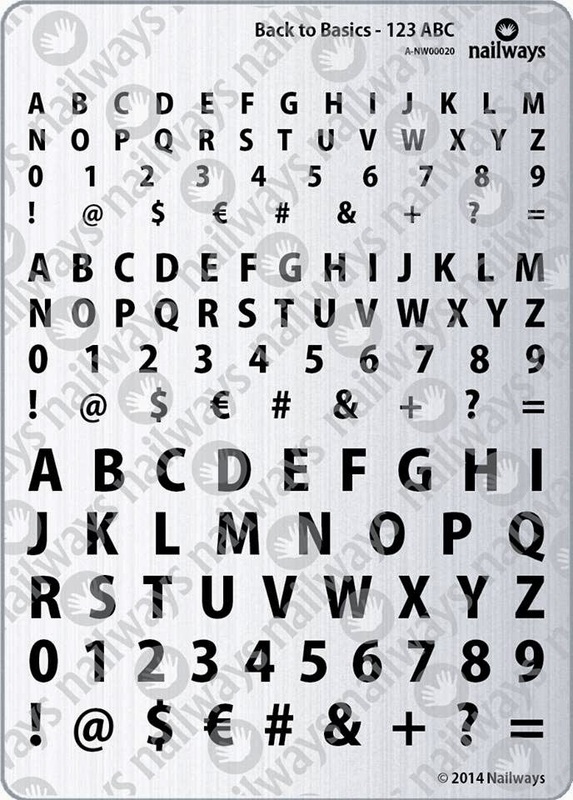 First up is the 123 ABC font plate. IMO probably one of the most useful and dynamic plates I've seen in a while because essentially you can mix and match the letters and they give you various sizes to work with -in the range of small, medium, and large - smart. Next up is the the Block It plate. 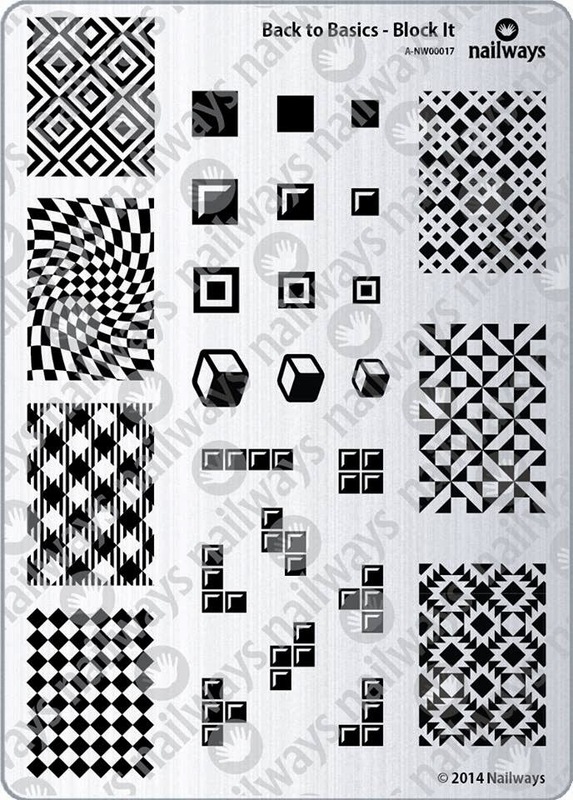 Essentially a plate that pays homage to block shapes and has a lot of interlocking block abstract patterns as well as single images. Another plate which IMO has a great deal of potential depending on how it's used. I like this one a lot actually! Lines plate. Exactly what it sounds like honestly this whole collection is very smart and in blogging about it it's made me want all the plates even more because of the variety of ways in which I could redesign the patterns of these plates into nail art. Shape That plate is a bit more flexible with the theme. I dislike that there is a repeated full nail pattern on this plate from the Block it plate. This one is cute but probably my least favorite amongst the 4 plates. Do you know if This alphabet plate is sold online? ?